Cut the potatoes into 1”-1.5” cubes. If they’re tiny or fingerlings you can leave them whole. Just cook them a bit longer. The baby golds in the photo are our favorite. 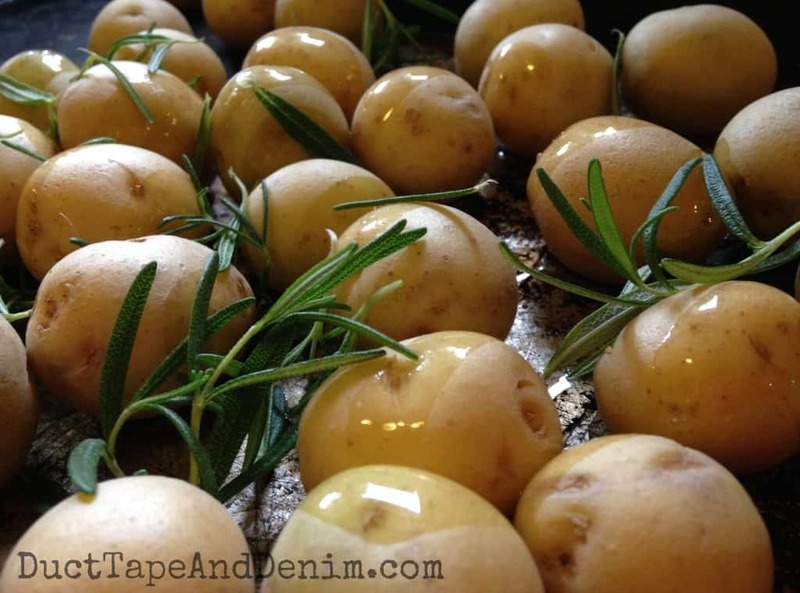 Place the potatoes on a cookie sheet with a raised edge. I use a jelly roll pan from my father-in-law’s restaurant. It’s probably over 30 years old! You can tell it’s been used for a lot of cooking. 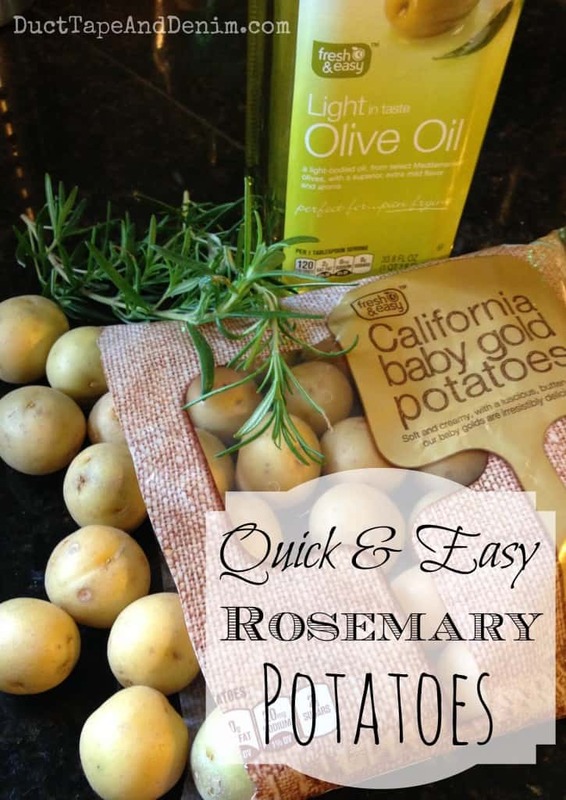 Sprinkle olive oil and rosemary over the potatoes. Toss together and spread into a single layer. Salt and pepper. Roast for 10 minutes. Stir. Roast for 10-15 minutes more. This is a typical summer meal for us. 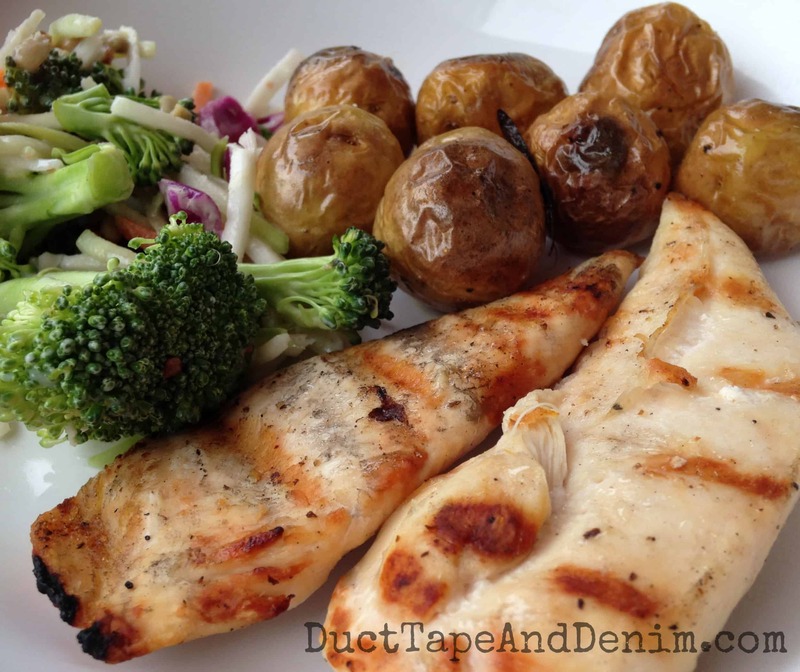 Grilled meat, salad or grilled veggies, and potatoes or rice. I usually cook the whole bag of small potatoes. They’re great as leftovers, too. I smash them and add to omelets or breakfast tacos the next day. Or just add them cold to a salad. I bet the leftovers would be great in a potato salad, too. Rosemary is so easy to grow that everyone should have a little container on their back porch or patio. Then you’ll be prepared to make these anytime! 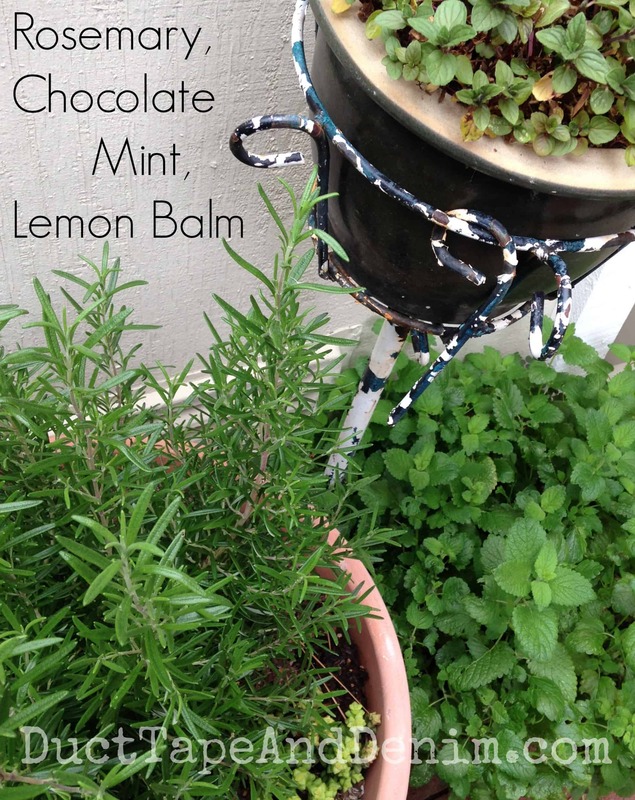 Leave a comment and let me know if you have any ideas for me to use our chocolate mint or lemon balm. « Shopping in Chico & BIG NEWS! We love potatoes at our house and would probably eat this all in one sitting (no leftovers here). Thanks for sharing on Merry Mondays.